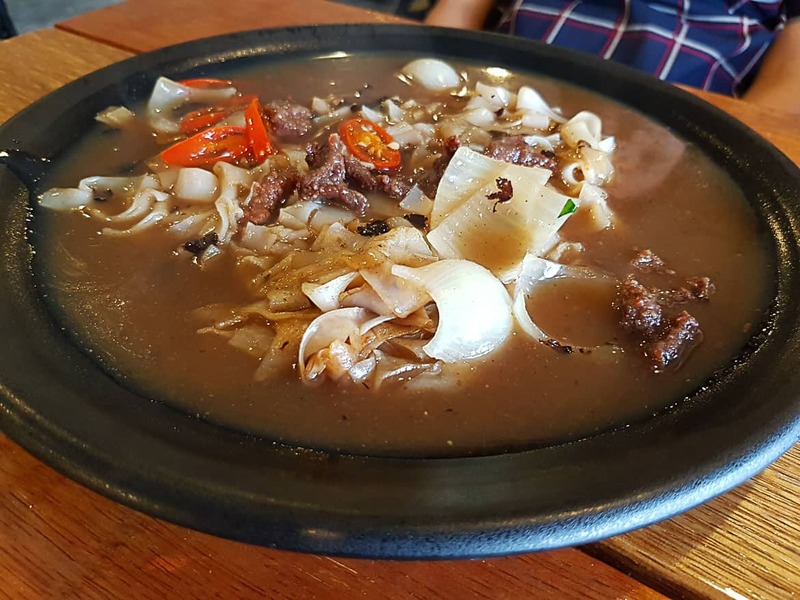 Nasi Kerabu’s origins trace back to the peninsular Malaysian state Kelantan, however, we Sabahans have our own version of this super satisfying dish! 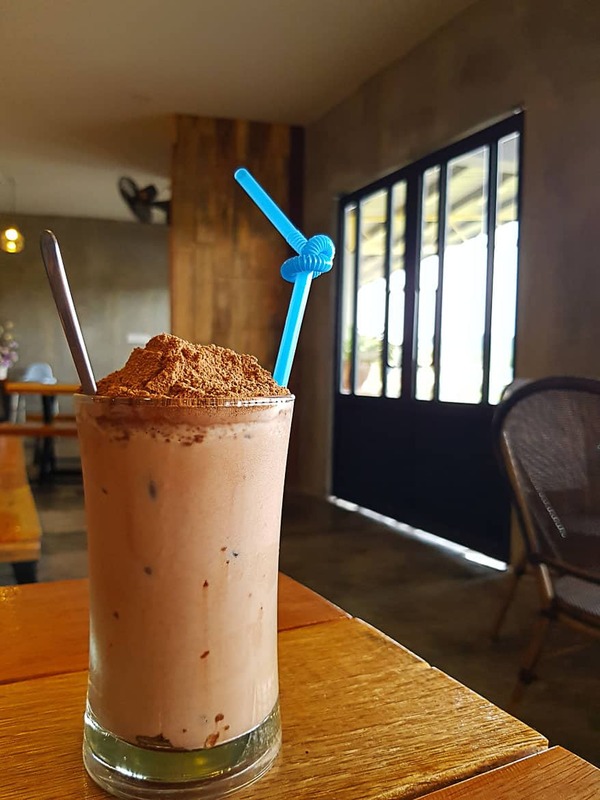 Turmeric Café is the more urbanized branch of Uncle Garry’s Recipe, the very establishment that brought Nasi Kerabu to Sabah and made it our own since 2014. 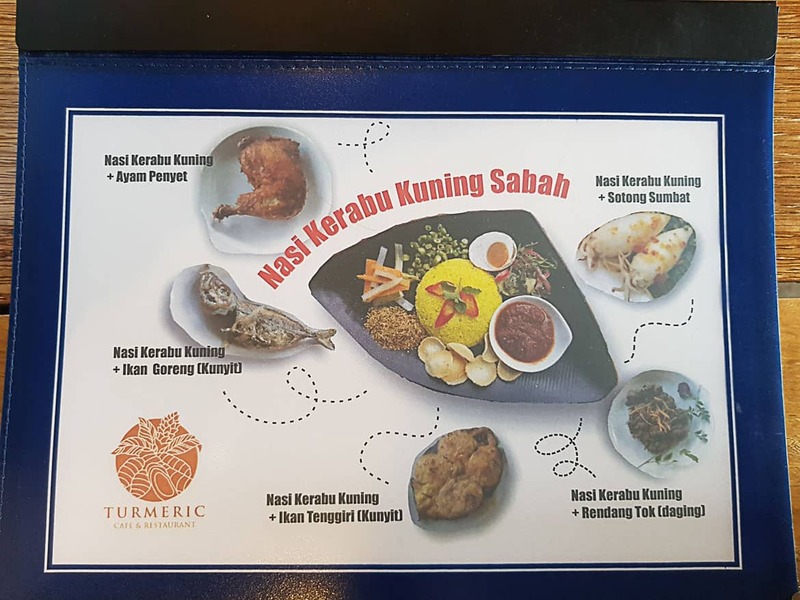 Other than blue-coloured Nasi Kerabu, they also serve yellow-coloured turmeric rice, served with a variety of condiments such as salted eggs, pickled wild vegetables, and you can have your pick of either fried chicken, fried fish, or stuffed squid for a main. A variety of Malay “kueh” is also available, many of them tinted blue by the natural butterfly pea flower extract. 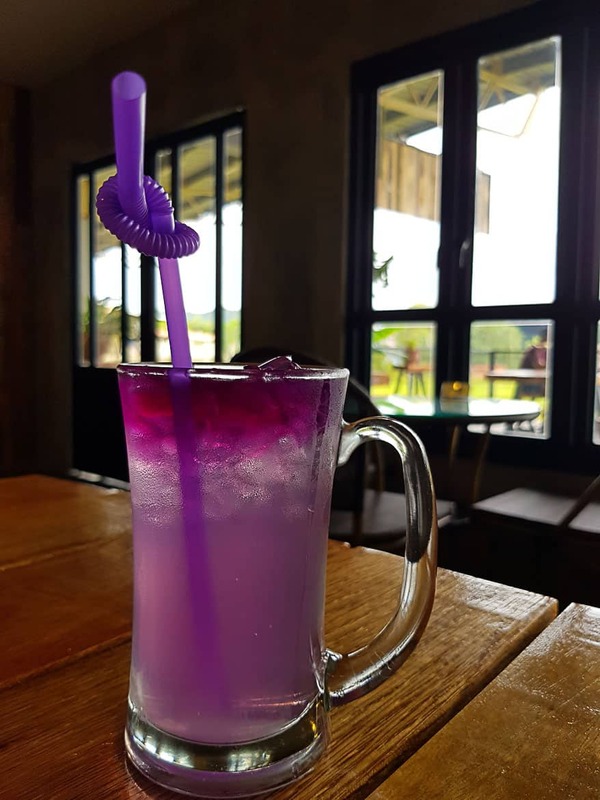 You can also order from their wide range of beverages, some of them come in interesting hues of purplish blue too!